Leslie John Davis (1899-1980) was Muirhead Professor of Medicine at the University from 1945 to 1961. 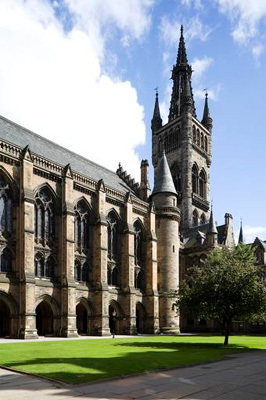 After service with the Naval Auxiliary Service at the end of the First World War, Davis studied Medicine at the University of Edinburgh and graduated MB, ChB in 1924. He worked in the Wellcome Tropical Research Laboratories from 1927 to 1930 and was Professor of Pathology at Hong Kong University from 1931 to 1939. After a short spell as director of medical laboratories in Bulawayo in Southern Rhodesia, he returned to Edinburgh during the Second World War as an assistant and then lecturer at the Department of Medicine. Davis was appointed to the Muirhead Chair primarily to introduce clinical science into Glasgow Royal Infirmary, where he was appointed physician in charge of wards, and he established the Royal as the regional centre for the treatment of haemophilia. He was Consulting Physician to the Royal Navy from 1954 to 1961.